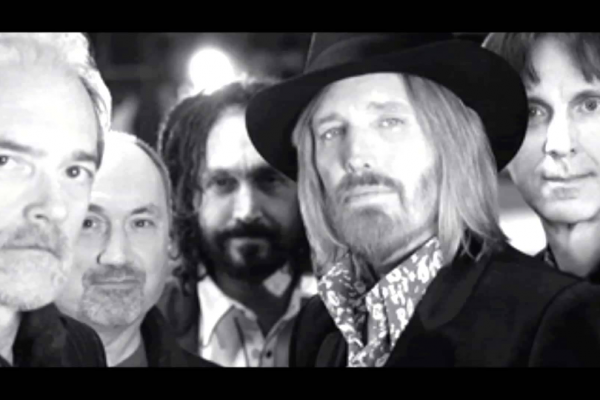 Rock and Roll Hall of Famer and soulful southern hit maker Tom Petty has reunited his original band, Mudcrutch, for a second time since the 1970s, in advance of the May 20 release of their second album, 2, and first national tour. Comprised of Petty on bass, Tommy Leadon (brother of Bernie Leadon of the Eagles) on guitar, Randall Marsh on drums, Mike Campbell on guitar, and Benmont Tench on keys, Mudcrutch released a couple of singles with Shelter Records in 1974. The album went nowhere and the band broke up. Petty launched a brief solo career, eventually regrouping with Campbell and Tench in 1975 as the Heartbreakers, adding Ron Blair on bass and Stan Lynch on drums. The rest is rock n’ roll history. Just after the Heartbreakers’ 30th Anniversary tour and 80 million records sales later, Petty re-formed Mudcrutch for the first time, releasing its first full-length record in 2008. Tapping into the potent chemistry of their youth, the eponymous debut album was dubbed “a country rock instant classic” by Rolling Stone and reached number eight on the Billboard Top 200. For this second reunion, Petty will again turn his guitar over to Tommy Leadon and reprise his role as bassist in the band. In a July 2015 interview with Rolling Stone, Petty bubbled with enthusiasm about the switch, saying, “Playing the bass is so much fun for me because I started out as a bassist. I did that until the Heartbreakers formed, so being back in that position and playing with Randall (Marsh) is just so much fun. I love playing with him. He’s such a good drummer, and he’s a drummer that plays to the vocal rather than being hung up on the bass and stuff. And Tommy’s just out of sight on the guitar. We spent our teenager years singing together, so we have a good blend”. All the musicians in Mudcrutch contributed songs on the new album, which includes seven originals written by Petty, with band members Campbell, Leadon, Marsh and Tench composing one each. They released their first single, “Trailer”, written by Petty, with a very tasty B side, ”Beautiful World,” by Marsh, as part of Record Store Day on April 16. The band’s one month national tour kicks off at Denver’s Ogden Theater on May 26, ending at The Observatory in Santa Ana, CA on June 28. All that remains is an explanation for the name Mudcrutch. In Peter Bogdonovich’s 2007 Petty documentary, Runnin’ Down a Dream, the band members explain: “We picked this really terrible name: Mudcrutch…We all liked it because it sounded kind of dirty and decrepit.” True to the name, 2 takes these world-class musicians back to their messy, untamed country classic roots. There is clearly something in this raw intensity that Petty wants to connect with that keeps pulling him back to that wide-eyed time before he became a rock legend; back when he was just a backwoods Florida boy who wanted to play in a band with his friends. Cate Harty is cappuccino aficionado, die hard Francophile, amateur pianist, news junkie and fancier of felines. Cate earned her chops on Madison Avenue as an advertising Account Director and Strategic Planner for some of the world’s most iconic brands. Now a freelance writer, she is currently studying pop culture gemology and is pleased to put her finely honed skills to work identifying the shiniest bits to bring to CultureSonar.